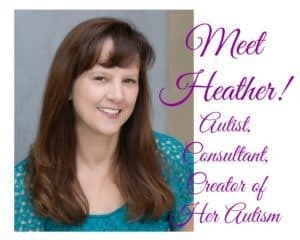 What’s a zero-based budget and what does it have to do with autism??? The answer is more than you might think. And you can use it for so much more than making decisions about spending! Making decisions regarding medical care. Put another way, you can use it to decide how you want to spend money, time, emotional energy, etc. The zero-based budget is a way to make sure your life is keeping up with your newest goals. It could be a skill you use at work and bring home or that you practice at home and then try out at work. It is just super flexible! So, What’s a Zero-Based Budget? A zero-based budget promotes the idea that every expense requires approval each time it occurs, rather than being approved once for all time. In the business world, at the time of its introduction, it left history in the dust and changed the way many businesses functioned. Prior to this idea, businesses would start with the previous year’s budgets and move forward from there assuming last year’s expenses would be relevant again this year. In this way, departments and organizations grew their budgets each year. Managers liked this system, after all, managers like having big budgets because it makes them important and sets them up for the next big job. Do you want to hire manager with experience managing a $150,000/year budget, or one with experience managing a $1,500,000/year budget? Personally, I favor hiring the manager who managed their budget efficiently and effectively, but in the business world, all too often, more money equates to being smarter and more powerful – more “qualified” without regard for whether it’s true. Often a miss, but there you have it. In addition, managers with bigger budgets don’t have to work so hard. They can just throw money at their problems. 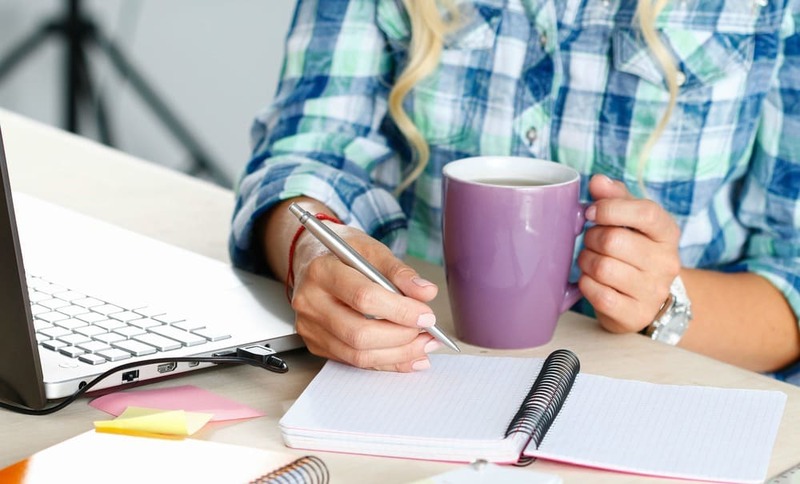 If your employees feel overworked, no worries, just hire another one. See a resource that would “make life better?” Awesome, let’s buy it. After the first approval, expenses were never really reviewed. It was just assumed that if an expense was justified in one year, it would be justified in the next. As a result, many, many expenses were rolled mindlessly from one year to the next causing a lot of waste. The zero-based budget says that all expenses get reviewed every time and that the annual budgeting process begins with a reconstruction of the budget rather than a passive acceptance of last year’s budget as a baseline. Resources are no longer spent on things that were historically needed. They are used on things that are needed now, or under current circumstances. In addition, history doesn’t dictate the future. With constant review with an eye toward improvement and necessity, businesses make better decisions. Maybe more importantly, freeing resources opens the door to new opportunities. So businesses eliminate waste, update decisions, and create room for OPPORTUNITIES. In case you hadn’t guessed, I absolutely love the zero-based budget concept. I probably don’t apply it exactly as intended by its originator, but it has helped me and many people I have worked with beyond measure. Because it constantly opens the door for a fresh start, for course correction, and for, let’s say it again, opportunity. And I love getting up in the morning to face a day full of opportunity. How Does the Zero-Based Budget Apply to Autism? Well, let’s be frank, just how much is your life like you thought it would before autism came along? Or if you are autistic, how often do neurotypical solutions not work for you, and yet you keep applying them because that is what you have done in the past? Wondering where all your money goes? How long did you keep paying for cable TV when you no longer watch it, or have you kept a subscription to another service you no longer use? How often have you continued to go to appointment after appointment with a doctor or therapist feeling, no, knowing you weren’t getting the results you wanted? Has your schedule ever gotten so full you thought you would explode because you kept the old stuff and just kept adding new stuff? What about your relationships? Are there people in your life that just don’t belong there anymore? If you felt convicted by one of these questions, the zero-based budget may be worth a look. Time To Take a Step Back! Now that I use this concept, whenever my life feels full or even “off,” I take a step back and engage in a little zero-based budgeting. I have applied this concept to appointments, services I use, meeting schedules, relationships, the food I eat, you name it. I may do a full review of my schedule, budgeting, or relationships once a quarter or even annually, and I also make careful decisions about everything else as it comes up. Everything in my life is under constant review. Everything. Not in an exhausting way, in an intentional way. If an old schedule now fails to meet my needs, I change it. Appointments that are no longer moving the goal forward, you know it, cancelled. Relationships that are holding me back, gotta go. Now this last point probably causes you to cringe a little bit. It did me too at first. But the reality is that there are relationships that are meant for a project or event, those meant for a season, and those you hang on to for a lifetime. The challenge is in knowing which is which. Enter the need for review. As a parent, the zero-based budget has probably been the most relevant. In a family with lots and lots of physical and mental health issues (See my post, “Comorbidity: Life with Autism and Its Closest ‘Friends,’” for more. ), the parenting tactics of the past didn’t always work in our house. In addition, as each of my 4 daughters had her own health issues, the tactics used with one generally did not work on daughters 2, 3 and 4. As my kids health evolved, they grew and matured (or yes, sometimes regressed), and began to set and achieve their own goals, the zero-based budget resulted in the constant review of all of my parenting practices. If one no longer worked, it had to go. If one gained a lot of traction, I devoted more resources to it. Talk about gaining traction. YES! 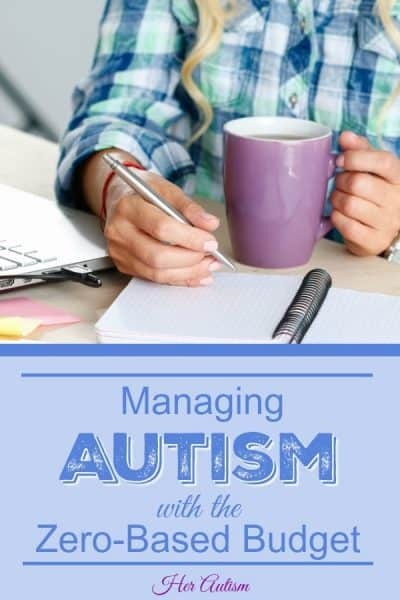 Using this idea allowed me to generally stay out in front of my kiddos, manage my autism and all of their health issues, and take back my life. Really though, the strength of the zero-based budget in my life has been the growth in me of the willingness to let go of all of the neurotypical “worldly” stuff that didn’t work. It allowed in me the acceptance of “autism-style” stuff that did work. It made clear to me that I liked eliminating resources that didn’t fit. I needn’t hang on to resources used by others in the search of a result I was not going to attain in the same manner! How Did I Find These Poor Fits? When life was not going the way I wanted, I went back to a zero-based budget and engaged in a review. No, I didn’t just throw everything out with the bath water. What I did was sit down with the entire picture in front of me and do a review. I “cleared the budget” so to speak, and started over. Anything that was not living up to its promise or was not meeting my needs had to go. I kept all the good stuff, ‘cause, well, it was good! In between these big picture reviews, I paused briefly with each decision to ask myself whether I was doing something that made sense or whether I was acting out of habit or because I had historically done something. Taking the time to really look at my world, at how different it is from the worlds of others, makes clear to me the need to continue to use this concept in my life. Looking for room in your life for opportunity? Look to the space you have given those things that no longer benefit you! Think of it this way: Everything that is in your life has to be so valuable that it has earned its spot! Give it a try. Go back, pretend you have a clear slate, and build the life you want with the zero-based budget! Like this article? Pin it to your favorite Pinterest board! 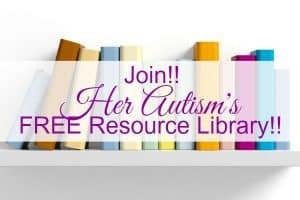 Want more free resources for living an amazing life with autism? Check out the FREE Resource Library and get my weekly newsletter!